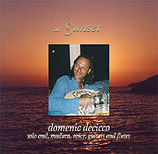 A sublime selection of instrumental songs that were inspired by domenic's years of traveling to Crete, Greece. The movements take the listener to those tranquil places by the sea and feed the soul with mountain air. 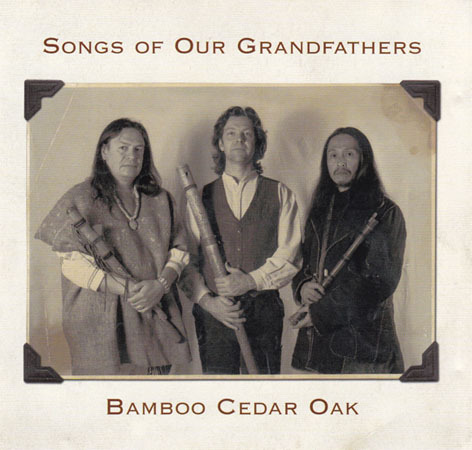 Using instruments from Crete such as the Lauoto, Outi and Madura, coupled with the guitar, native american flute and voice, this collection of songs brings an inner quiet & peace and reaches an ancient place within you. More songs on Domenic's page..click here..
A collection of music recorded over several days of spontaneous play at Twin Arrows studios. Domenic, Vincenzo and Eddy have known each other for a number of years and though they have performed in concert together, they've never had the opportunity to record it, until now. This Cd captures the magic of their live performance with the beauty of an ambience created from that sound and the space between the music. The result is a thoughtful, meditative and moving performance, that combines their years of experience as musicians with a true understanding of listening and sharing energies. 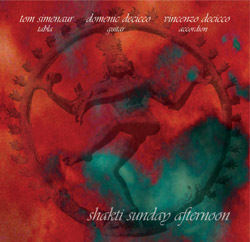 A beautifully crafted album by a brotherhood of flute players from four different sacred cultures, Nigel Shaw, Guillermo Martinez, Hiroki Okano and Domenic DeCicco. This work is inspired by the spirits of the grandfathers and the songs of ancestral lands. The music offers a shared understanding of our human connection to this beautiful planet. Special guest Domenic DeCicco from the band Praying for the Rain played guitar, Cretan Laouto, Cedar flute, percussion and voices. 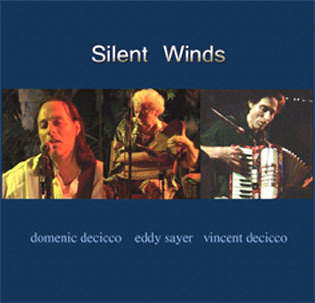 In keeping within the spirit of live performance, domenic and vincenzo decicco continue their series of spontaneous "play" recordings with friends they've performed with during their years in the UK, this time together with tom simenaur on tabla. This cd contains meditative and moving pieces with world rhythms and spacious ambience, recorded during several relaxing days together at their London home and recording studio Twin Arrows. There is a constant yearning within the human heart for peace! Today we are witnessing the birth of a new era which is more fertile for positive change than any other time in the evolution of humankind. Now we have the opportunity to: Find inner tranquillity... Realize heartfelt longing... Achieve contented fulfillment..
Part one: Instrumental. 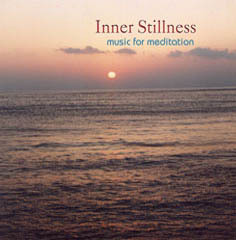 Gentle movements of sounds to relax and accompany you on your inner journey. 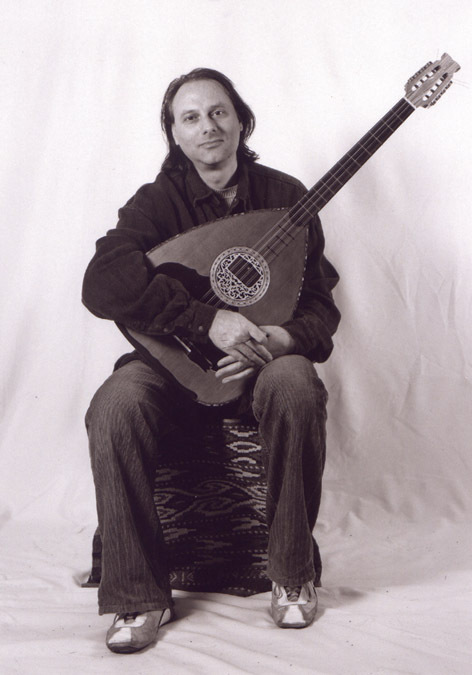 Domenic DeCicco - guitars, voice, flutes, percussion. Part two: A guided visualization entering the depths of your own inner being. Here one will receive many deep and rewarding experiences. 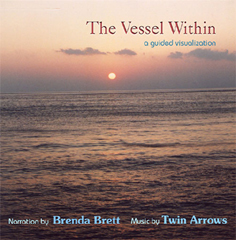 Narration: Brenda Brett- a renowned hypnotherapist and spiritual healer. Original compositions improvisations and traditional arrangements for bowed Asian instruments, overtone singing and E-Bow guitar, bowed and rubbed fishing line, bowed cymbals, gongs, frame drum and jaw's harp. A wonderful collection of meditative pieces, blending the healing sounds of the Gong, with gentle rhythms and magical sounds using instruments such as Hybrid Harp, Kendang Bali, bowed cymbals, Burmese gongs, Vee DeeVu drums, Tibetan Bells and Bamboo Fractals.